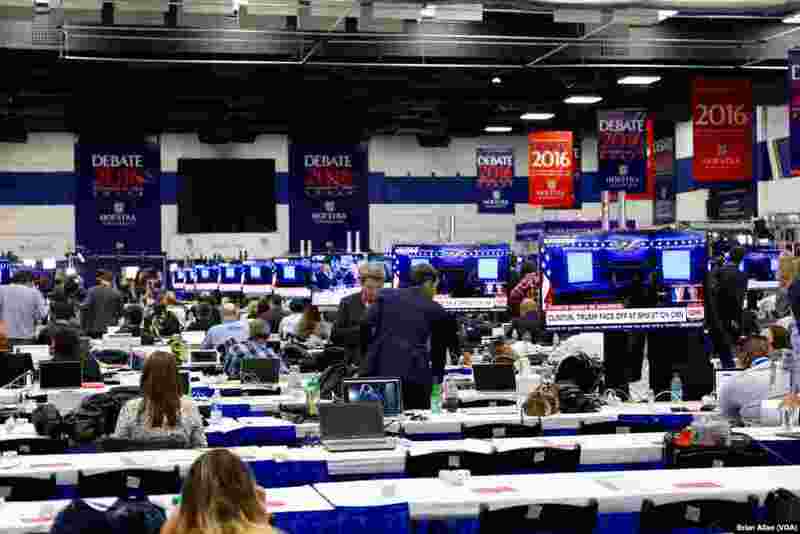 The first of three debates between Democrat Hillary Clinton and Republican Donald Trump was held at Hofstra University. 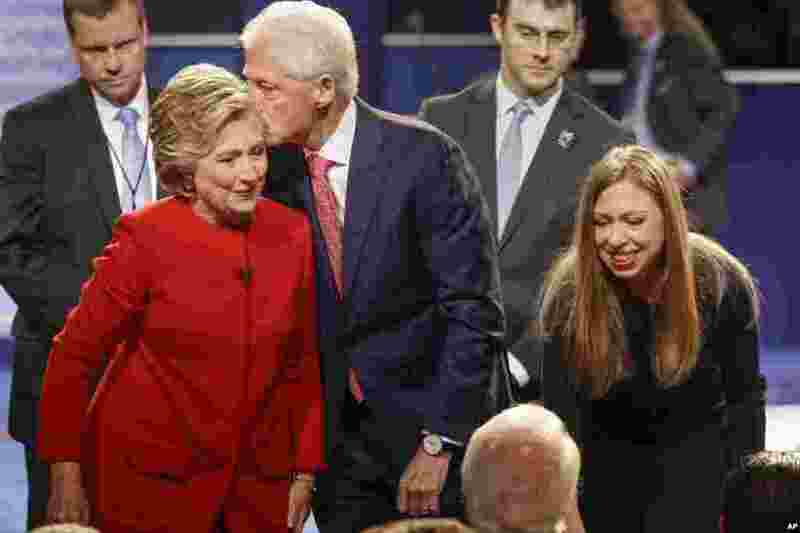 5 Former President Bill Clinton kisses Democratic presidential nominee Hillary Clinton as she and their daughter, Chelsea Clinton, greet supports during the presidential debate at Hofstra University in Hempstead, N.Y., Sept. 26, 2016. 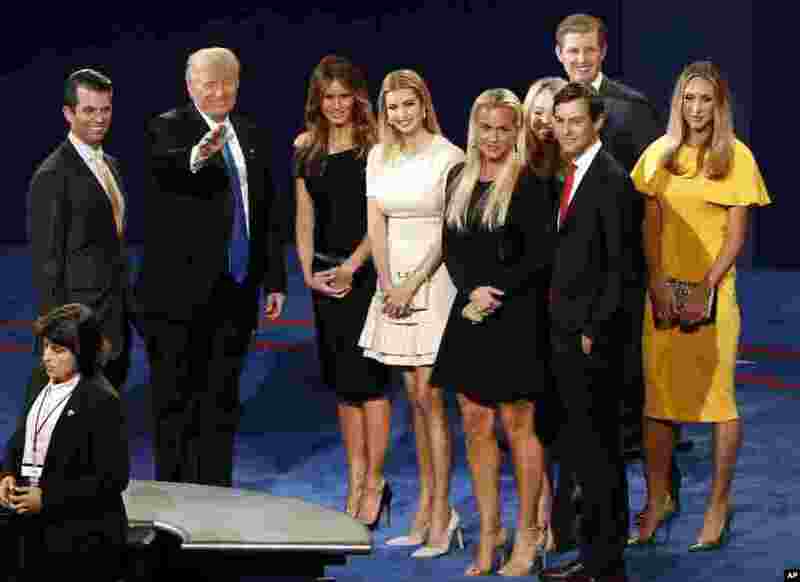 6 From left, Donald Trump Jr., Republican nominee Donald Trump, his wife, Melania Trump, Ivanka Trump and other family members appear on stage after the presidential debate at Hofstra University in Hempstead, N.Y., Sept. 26, 2016. 7 Former President Bill Clinton greets Melania Trump ahead of the start of the first presidential debate between Republican nominee Donald Trump and Democratic nominee Hillary Clinton at Hofstra University in Hempstead, N.Y., Sept. 26, 2016.